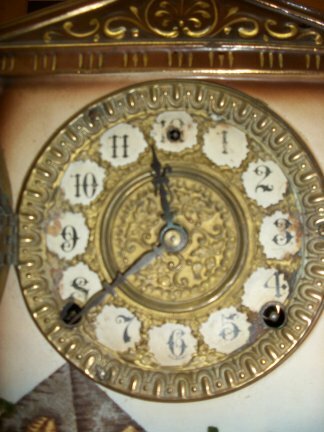 This clock is made by the Gilbert Clock co. 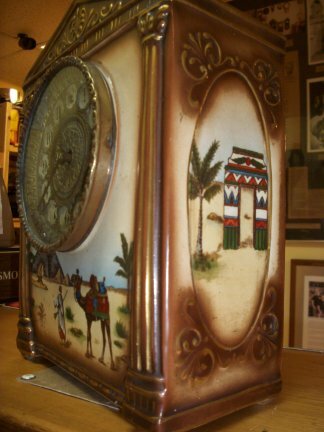 It is an 8 day time and strike china clock with an Egyptian theme, all hand painted. Closer view of the front to show the embossed face and bezel. 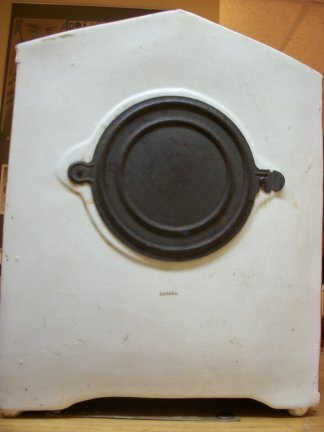 Left side of the case. 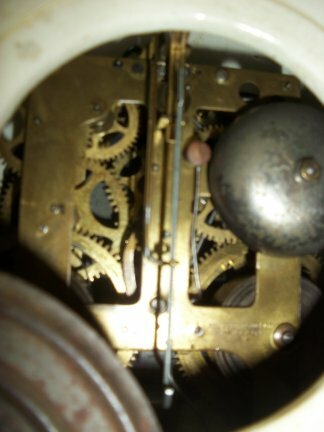 Dial of the clock with the door open. Inside the back to the movement.